As his time in office winds down, President Barack Obama is reviewing a number of proposals to advance the nuclear weapons risk agenda he first outlined in an April 2009 address in Prague, a senior White House official said on June 6. “[O]ur work is not done on this issue,” said Benjamin Rhodes, assistant to the president and deputy national security adviser for strategic communications, at the Arms Control Association’s annual meeting in Washington. “Our administration has already made plain our concerns about how the modern-ization budget will force difficult trade-offs in the coming decades,” Rhodes said. Congress in 2011 passed the Budget Control Act, which mandated reductions in projected spending in the Defense and Energy departments through the end of the decade. Rhodes did not specify a timeline for when the president would make a decision on whether to pursue any of the options under consideration and, if so, when he would announce such a decision. 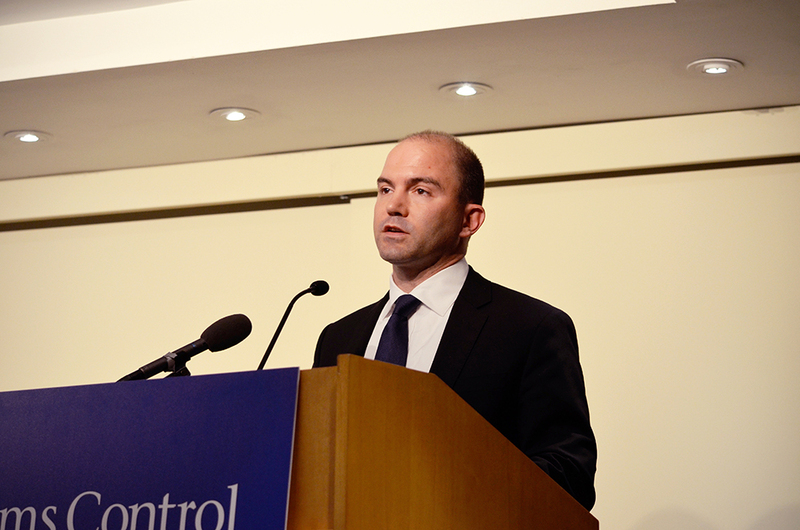 In highlighting what the administration has accomplished since the speech, Rhodes touted “substantial progress in securing vulnerable nuclear materials around the world” as a result of the nuclear security summit process, measures to reduce the role of nuclear weapons in U.S. policy, the negotiation and U.S. Senate approval of the 2010 New Strategic Arms Reduction Treaty (New START), and the July 2015 nuclear agreement with Iran. He said the administration has failed to stop “the advance of North Korea’s nuclear program,” achieve further nuclear weapons reductions beyond New START, and ratify the Comprehensive Test Ban Treaty.